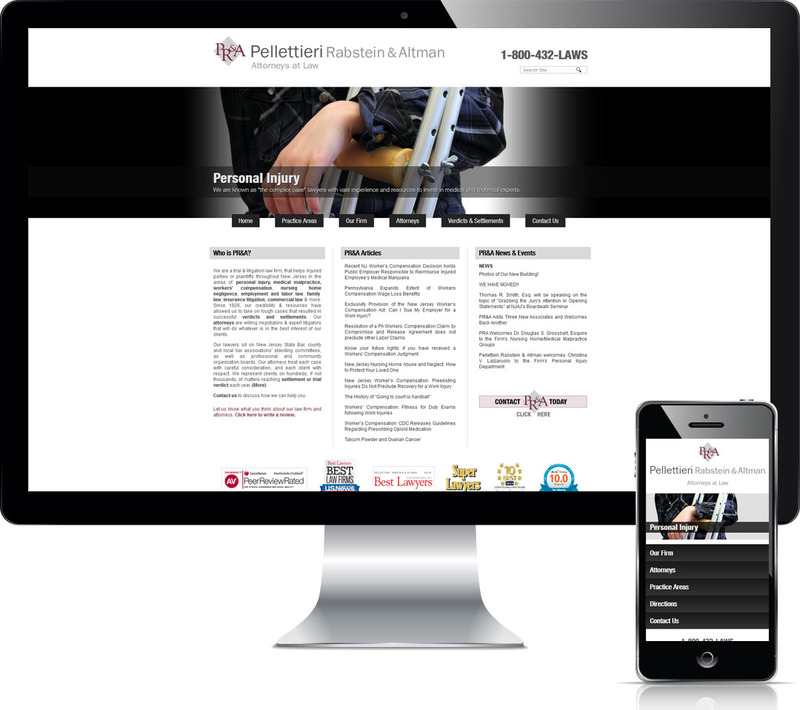 Founded in 1929, Pellettieri, Rabstein & Altman is one of the largest law firms in New Jersey. The legal field is very competitive and PR&A needed a Web site design company to communicate the firm’s professionalism, dedication and track record while also helping them rank in the top of search engine results. Stonehouse Media Incorporated worked with PR&A and built this content managed web site to not only look great and represent them well, but also take them to the top of the search engines through a search engine optimization strategy and gain exposure of their talent and expertise through a creative Web site design.